LiveBinders allows students to organize their digital resources in one place on the web and share the URL with those they are working with and their teacher. Because it is web-based, students can access it from any digital device connected to the Internet at any time. Also students can upload images and notes. Below is tutorial that explains how to set up an account, put a LiveBinder tool in your bookmark bar, and save and organize resources. 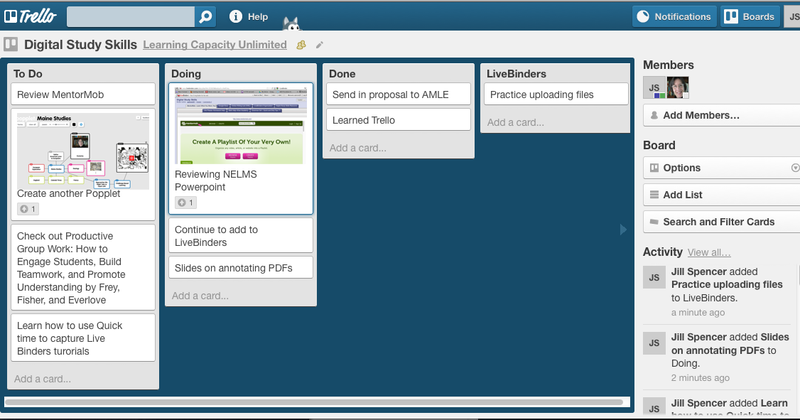 Trello allows students to break their projects down into a series of tasks and then keep track of their progress. As you can see there is a To Do list as well Doing and Done Lists. 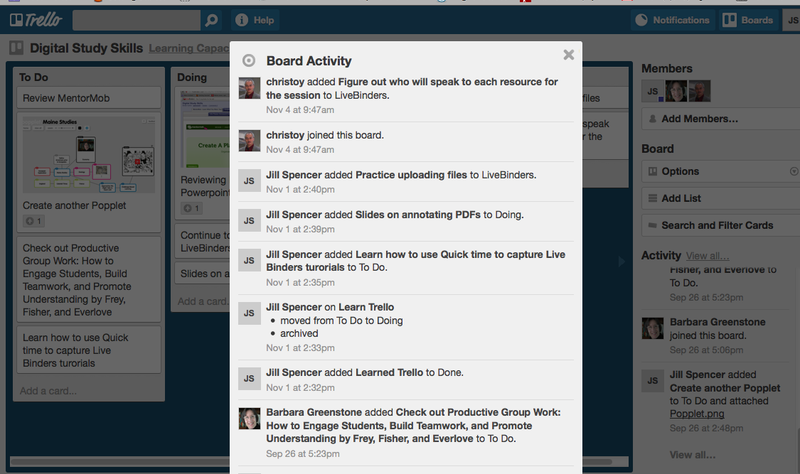 The other neat thing about Trello is that the teacher can track who is contributing to the project. Watch this video to see how Trello works and how it can help your students stay organized and develop self-accountability. The video is from the world of business, however the ideas are easily adapted to the classroom. There other videos on YouTube about Trello. 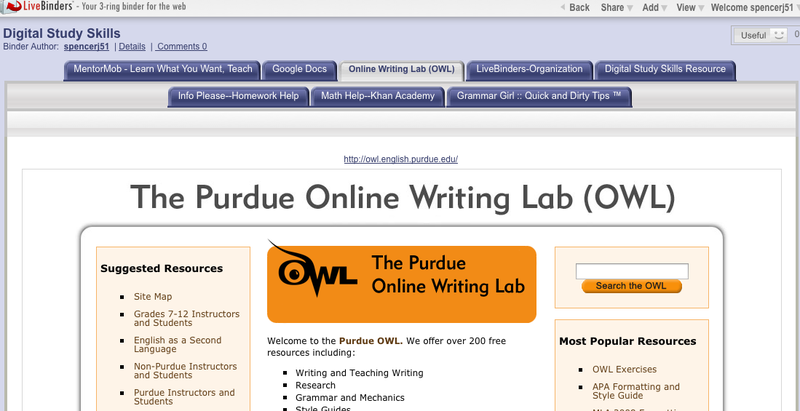 What Web 2.0 tools do you and your students find helpful in project work? This entry was posted in Curriculum and Instruction, Engaged learning, General, Good teaching, Project learning and tagged Curriculum & Instruction, Engaged learning, LiveBinders, Technology Integration, Trello. Bookmark the permalink.